The focus for this Pedal Trio is daisychaining two drive pedals. But wait! That’s not a trio? No, one of the consequences of doing this can often be a loss of low end, so I added a ‘Big Bottom’ to bring us back to the low end territory. For now, let’s stick with this for three reasons. First, for some reason I felt like playing a slap part on a Jazz bass slightly favoring the neck pickup. I can’t really say why, but when I first set it up and just messed around, it made sense. If it still makes sense, I don’t know- you tell me! Well, secondly, I did think that in this case some added low end was definitely needed, and thirdly, it was a nice opportunity to also explore how the order of pedals has a huge impact on the overall outcome. 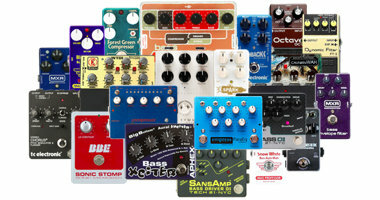 Before we start listening to the pedals, here you can see the exact settings of each of them. These setting are completely static and no knobs were tweaked throughout this little pedal experiment. 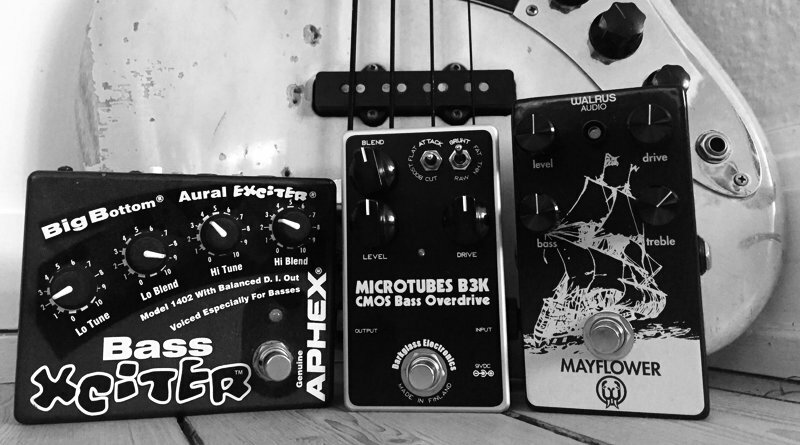 Now, while the B3K is made specifically for bass, the Mayflower from Walrus Audio is not. That doesn’t mean it’s no good on bass – not at all. But there are some differences. First of all, the B3K has a BLEND control, which the Mayflower does not. Second, The Mayflower features BASS and TREBLE tone controls, whereas the B3K offers some EQ shaping through the toggle switches, but its less flexible. So, before adding the third pedal, completing the trio format, let’s have a listen to what it sounds like when the B3K feeds the Mayflower- and vice versa. Both pedals have the exact same settings in both sound clips, so it is only the order of the pedals that color the final tone. As you can hear, there is a significant difference in tone depending on which pedal you play through first. What sounds best? Depends on your taste, I guess. Me? I prefer the B3K as the first pedal. I did think the tone became a bit too ‘clanky’, which may not be too surprising when you run two drives in serial mode, but since the idea was not to tweak knobs, i decided to use add an EQ as the third pedal rather than boosting the BASS on the Mayflower, which could have been an alternative. 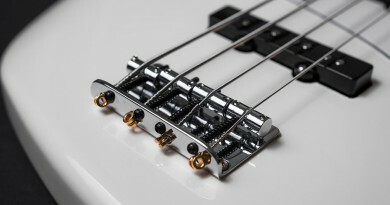 As mentioned, in order to cope with the clankiness, let’s add some serious low end, using the Aphex Bass Xciter. Since I preferred the B3K as the first pedal, let’s hear how that sounds with the addition of the Xciter with a significant bass boost and a more subtle treble setting. OK, that is bass heavy… And to be fair still a little clanky, probably due to the fact that the really low end is added as the last component. 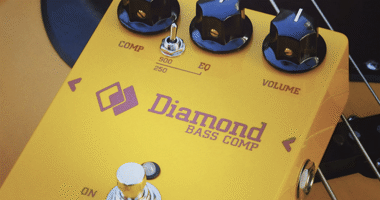 So… why not take the pedal-order-factor one step further? Let’s try to use the Aphex Bass Xciter as the first pedal. Well, these examples are certainly different. If they are the best so far is up to you to decide. Feel free to throw in comments below.